How will improvements in artificial intelligence change SEO? In this new episode of Real Smart Marketing, we’ve posed this big question to four of our favorite influencers. Here are their responses. How Does Artificial Intelligence Impact SEO? But as I’ve come to realize, what we’re talking about is a lot less creepy. AI is changing the face of SEO, but not like that. We’re talking about algorithms that enable machines to make connections, “learn” to process data, and apply its learning in future tasks. Basically, improvements in artificial intelligence like deep learning and natural language processing mean that search engines are becoming smarter and more human-friendly. When you search for something, the results displayed take into account a bucket of considerations like your location, search history, favorite websites, and what other users click on for a similar query. AI improvements mean ranking factors can change from query to query, as the algorithm learns from how people are clicking on the search results and decides on the most relevant factors to take into account for each search. But enough about algorithms. What does it mean for marketers? How does it change our jobs? I don’t have the answers, but our experts do. Here’s a quick recap on what changes AI will bring to marketers according to four industry influencers, plus suggestions of what you should do in face of these changes. Google doesn’t just favor YouTube videos in search results—they’re also getting better at analyzing what visual content is about. This changes things for visual content creators. Just like how content writers had to learn to optimize headings and keywords, visual artists will have to start thinking about SEO when creating visual content like images and videos. SEO for videos, for example, means optimizing keyword targeting, descriptions, tags, video length, and more. Here’s a great guide on optimizing videos for SEO from Brian Dean, if you want to learn more. Google’s AI, RankBrain, is an artificial intelligence change that attempts to understand the context of content on websites. As Google gets better at analyzing search intent, it’s more important than ever to get our keyword research right, and then tie those keywords back into our content. Basically, content has to do a better job than ever at serving searcher intent. So rather than older factors like keyword density, things like content relevance, context, and value are now more important ranking factors. That means it’s time to focus on providing real value, answering what people are asking, and not trying to stuff as many keywords as possible in a blog post. It’s no longer about writing a blog post about one keyword phrase you picked from your keyword research. It’s about creating a blog, or a series of blog posts, around a concept related to that keyword. In fact, the best option would be to focus your website around a single topic. This way, you not only help RankBrain learn the niche you’re in, but you also narrow your competitive pool. Google will compare your websites only to others from your niche, so you’ll have higher chances of ranking and getting traffic. Larry Kim, founder of Wordstream, predicts that websites with “strong domain authority with lots of links pointing to it but mediocre content” will be most susceptible to Google’s AI improvements. Since the smarter search engines will analyze whether people clicking on your links actually stay and read your content, SEO marketers need to focus even more on relevance and quality in their backlinks. We’ve covered content quality, but how do you improve link relevance? Basically, your backlinks should come from the same, or similar, category and industry as your site. It means you’ll have to be more selective with your link building. If you sell cat food, and your website is all about cats and their food, then you shouldn’t have lots of backlinks from websites selling lizards. RankBrain won’t like it and may penalize you for it. In addition to restricting your content to a single niche, you also need to restrict your links to the same niche. Any fast and dirty ways to purchase links are surely out of the question. Going forward, we’ll have to build links the “old-school way”—by building real relationships. Find influencers talking about your niche, and connect with them to find link opportunities. If you’re only thinking about SEO for web browsing on computers, think again. 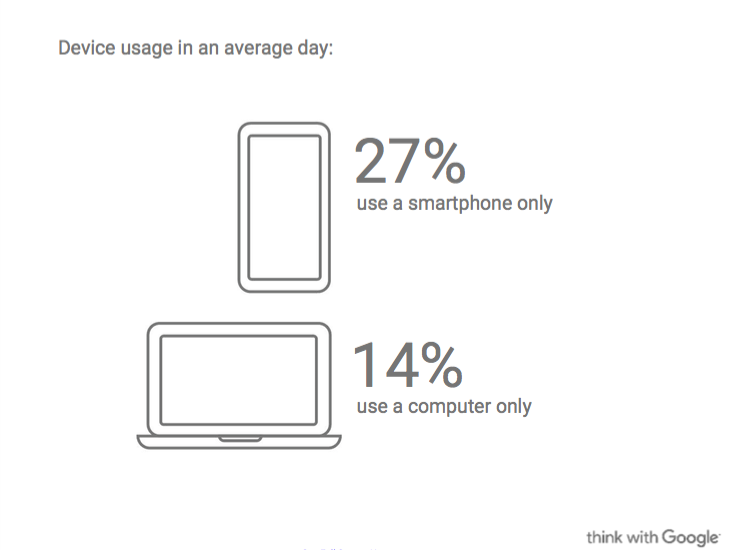 According to a Google study, 40 percent of searches are now mobile, and more than one in four users only use a smartphone on an average day. As a marketer, if you aren’t optimizing the way your brand is reaching customers on mobile, you risk missing out on a quarter of your potential audience. Whether you’re ready or not, Google has put more pressure on us to make our sites more mobile-friendly when they announced making it a part of their mobile algorithm. A positive effect of this mobile shift is that it opens new doors for brands to market. For example, If you have a mobile app for your site, you can make it show in mobile queries to increase exposure and brand awareness. If you search for “Wall Street Journal” on your smartphone, you’ll find the WSJ app among the first few results, and it stands out against other ranking websites. Currently, it’s still a relatively untapped market, so act fast. With the rise of mobile usage came voice searches. Siri, Google Now, and Cortana have become virtual assistants of all our capricious demands. And this changes things for SEO. Founder and CMO of Link-Assistant.com, Aleh Barysevich, suggests that we should “seriously incorporate voice search strategy into our websites because voice search optimization is the future of SEO.” That means doubling down on great content with a conversational tone and doing keyword research for conversational queries. In short, a smarter Google means black hat tactics are closer to becoming obsolete. Short-term strategies that try to trick or outsmart algorithms won’t work. It means investing in long-term best practices will be rewarded more than gaming the system. 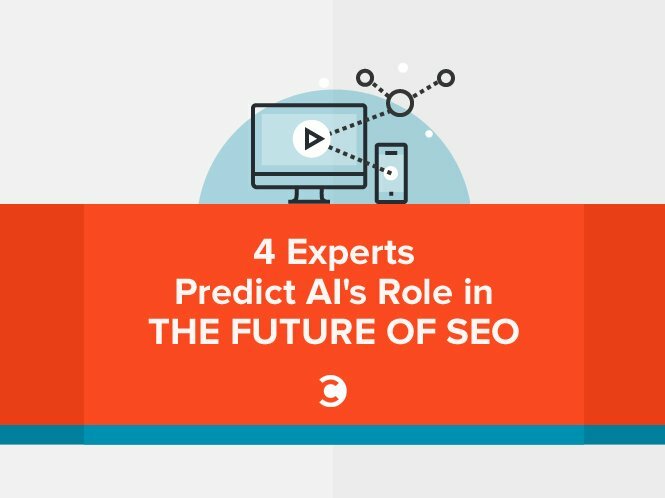 It may sound like a lot of work, but with improvements in AI, SEO should also become more intuitive and natural. So focus on delivering relevance and value to searchers, and let RankBrain work out the rest. Inspired to brush up on SEO basics? Learn from what Mention did to increase our web traffic by 373 percent.